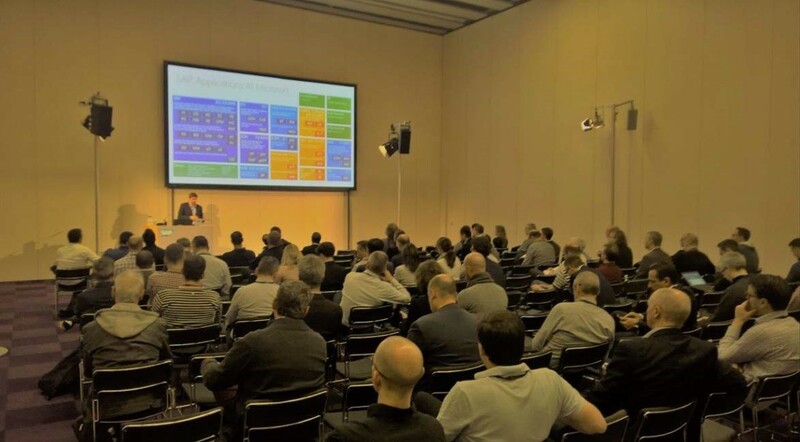 The highlight of SAP TechEd Barcelona 2017 for me was certainly my customer session how Microsoft runs SAP on the last day. As I mentioned in my intro, this was a very special TechEd for me. After having prepared and presented multiple presentations, hands-on sessions, mini-code sessions, networking sessions in the past as an SAP Employee, this year was the first year as a customer (and partner). I was lucky enough to get a chance to present to a larger audience how Microsoft runs SAP and what we are doing to prepare ourselves for the future. As with many other customers Cloud is top-of-mind for us. Obviously when we are going to the cloud we are going to Microsoft Azure. We are currently in the process of moving as much as possible to Azure — including our SAP systems. As of today, we are almost there. Most of our SAP systems (obviously also our productive systems) are already running in the cloud and we expect to be fully moved over by beginning of next year! I think the session was percieved quite well and afterwards I had some very good discussions with customers and partners. In addition to the main presentation we also had two networking sessions. As an SAP employee I really liked this format because it gives customer & partners a chance to closely interact with the presenter. Questions that are typically asked during these sessions are also relevant for others — so you can learn a lot. 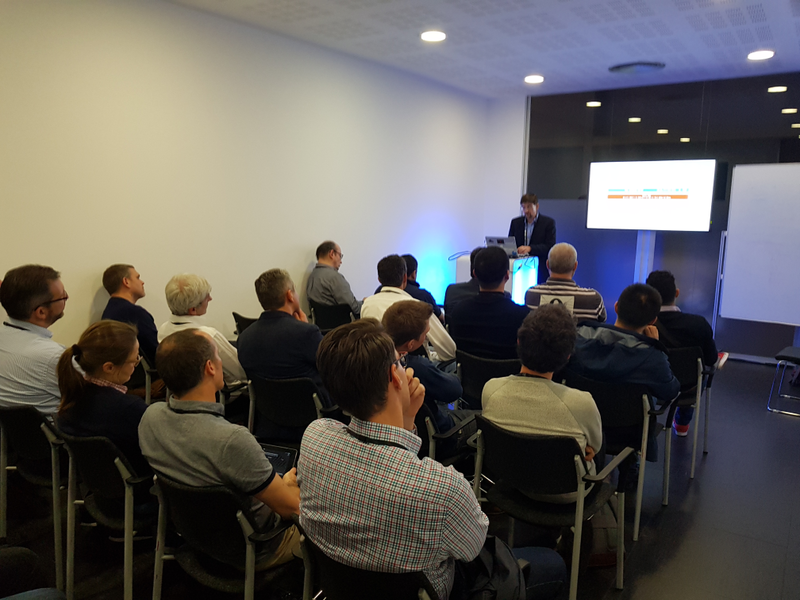 Both of our sessions (“Meet the Crew from Microsoft” and “Running S/4HANA on Azure”) were packed and we got lots of very good questions. [and yes, you can really run a 20 TB HANA Machine on Azure and have the flexibility with connecting very dynamic SAP Application servers running as VM in Azure as well, see https://azure.microsoft.com/en-us/services/virtual-machines/sap-hana/ ]. 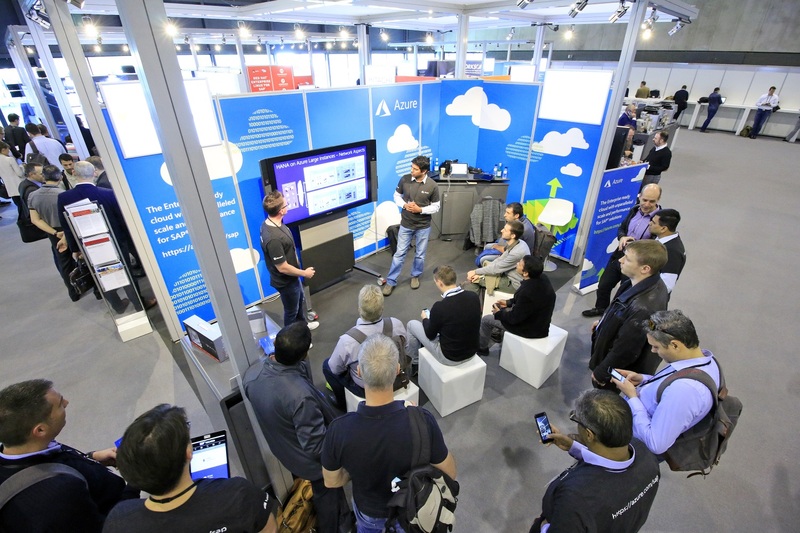 In the Developer Garage we showed some pretty cool integration scenarios developed by the partners Bridging-IT (Thanks, Martin Fischer ) and Theobald (thanks Khoder Elzein ) The Theobald showcase was a very simple, but effective usage of the Azure Bot Service and Microsoft Flow (see https://docs.microsoft.com/en-us/bot-framework/azure-bot-service-overview ). With this framework you can develop a chat bot that can be used out of Skype, Facebook or other messengers. 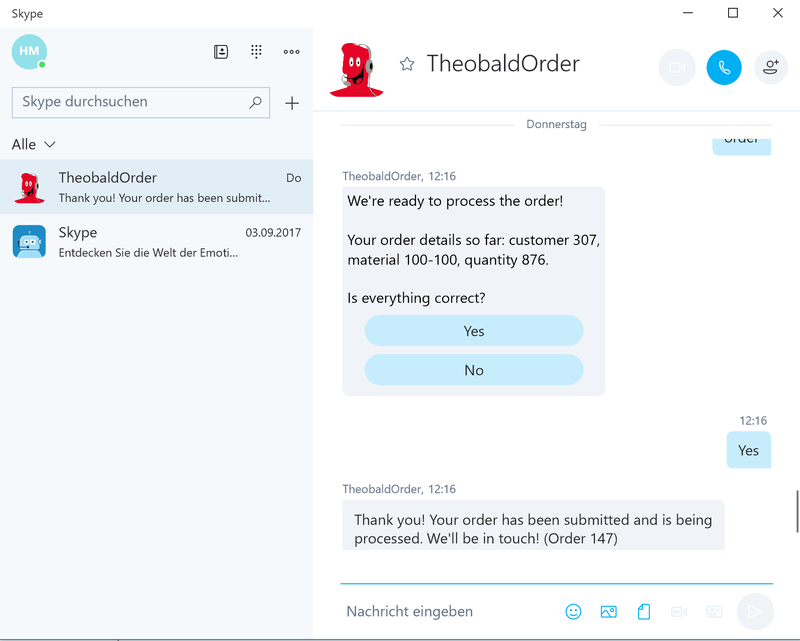 We used it to show how you can easily create an order which then — after a manual approval step via Outlook — creates a Sales Order in your SAP system. 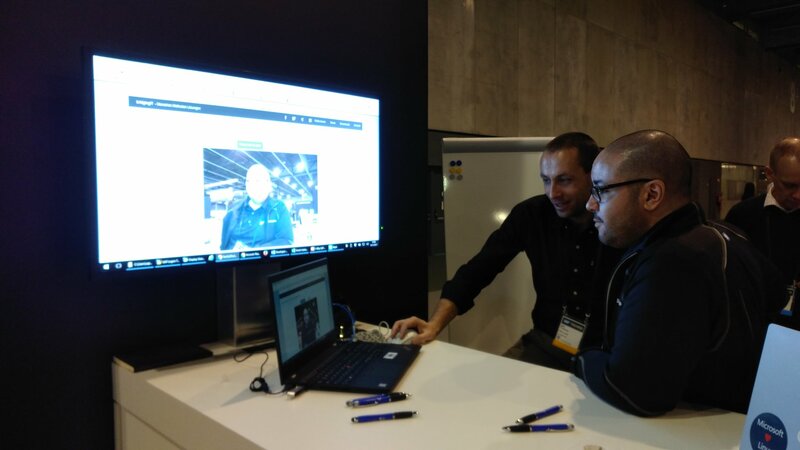 Finally we also had a booth where we showed on a beautiful Surface Hub how to run the SAP Digital Boardroom and demonstrated what you can actually do with SAP on Azure. Here we showed what kind of certified VM we have that allow you to run SAP any-db scenarios as well as HANA (small and very large) scenarios on Azure. We went through several architectural scenarios and had some very good discussions on how (and why) you would run SAP on Azure. All in all it was an extremely busy, but very productive week for me. On a personal level I was very lucky to meet a lot of good old friends from across the world. It was fantastic to catch up and to share new stories. I am looking forward to meeting and talking to you very soon!